Trebek says he'll continue if he's still enjoying it and "not making too many mistakes." But he also wants to make an "intelligent decision" when it's time to hang it up. Alex Trebek can see life without "Jeopardy." Speaking Monday on Fox News' "OBJECTified," the 78-year-old said the odds are 50/50, "and a little less," he won't return to the game show he's hosted since 1984 when his contract expires in 2020. He noted he'll be 80 and will have hosted the show for 36 years. Trebek says he'll continue if he's still enjoying it and "not making too many mistakes." But he also wants to make an "intelligent decision" when it's time to hang it up. Trebek says he suggested to the producer to consider Alex Faust, who does play-by-play for the Los Angeles Kings hockey team, as a replacement. He also suggested attorney and commentator Laura Coates. 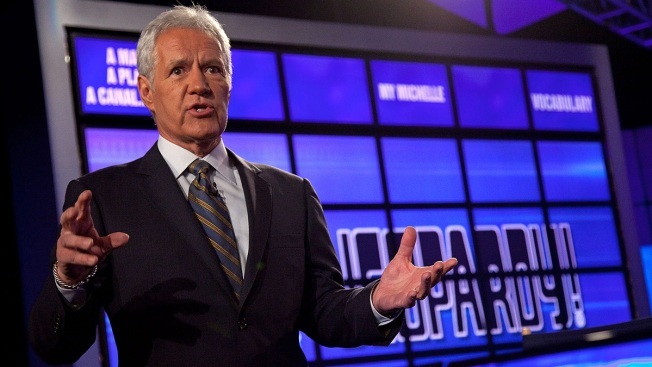 "Jeopardy" went on hiatus after Trebek underwent brain surgery late last year.